PetroChina Company Limited is China's largest oil and gas producer and distributor, and plays a dominant role in the country's oil and gas industry. Dushanzi Petrochemicals, a primary subsidiary of PetroChina, operates China's largest refinery and petrochemical complex. Operational since 2009, it can process 10 million tons of crude oil and produce 1.2 million tons of ethylene per year as well as a range of fuels and other refinery products. 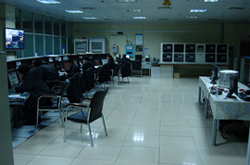 In 2007, Yokoshin Software Engineering (WuXi) Co., Ltd., a Yokogawa subsidiary, successfully installed the distributed control systems (DCS) for this megasize complex. Dushanzi Petrochemicals also has refinery, polyethylene, utility, and other facilities at this complex that date back to the 1990s. Some of these relied on older control systems that were experiencing steadily rising failure rates and issues with the availability of spare parts. In consideration of Yokoshin Software Engineering's success in implementing the systems for the refinery & petrochemical complex megaproject and Yokogawa's rich system migration experience, Dushanzi Petrochemicals awarded Yokogawa a contract in November 2010 that included the revamp of the legacy Honeywell TDC3000 DCS at the complex's polyethylene plant. This was successfully completed in October 2011 after a 50-day shutdown period and site acceptance testing (SAT). 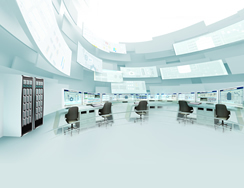 With the conclusion of the system migration work at the Dushanzi complex, most of its DCS systems are now from Yokogawa, significantly reducing its maintenance costs. The plant's TDC3000 system had eight DCS controllers, one safety controller, ten HMI/ENG stations, one application module, and one history module. 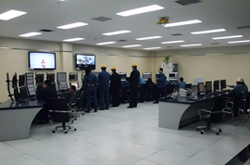 With Triconex responsible for upgrading their legacy safety system, the scope of Yokogawa's work was limited to the replacement of the TDC3000 system with a CENTUM DCS. There was no manufacturing execution system (MES) at the plant. Based on documents about the polyethylene production process (a BP gas-phase technology) and discussions with the customer's engineers, Yokogawa understood it would be a demanding project, with many complex sequence controls, calculations, interlocks, and loops in the existing DCS. Throughout the revamp, which included the challenging creation of function design specifications (FDS) as well as factory acceptance testing (FAT) and SAT, Yokogawa took a team approach and worked closely with the customer. With the strong support of Dushanzi's management and employees, this work was completed on time. Creating an FDS is always our first aim during a plant revamp project. As the customer required us to realize all of the TDC3000 system's functions, its system database was the focus of our investigation. The existing plant had been completed in 1995 and expanded in 2002, so some of the function definitions could be found in the TDC3000 database, but it was not possible to identify the corresponding functions in the production process. Yokogawa's engineers checked every item in the database and worked with the customer to confirm a list of objects for the database conversion. The TDC3000 database could only show Yokogawa's engineers what kind of function blocks had been implemented. Not enough information was available to understand the production process or the operation procedures at the polyethylene plant, both of which were of key importance in migrating to the new system. The Yokogawa personnel set about trying to interpret the database by referring to the original documents that had been released in 1995 by the licenser of the polyethylene production process and Honeywell. In addition, Yokogawa's global engineering team assisted by providing analytical insights and tools that aided in the conversion of database control language and the visualization of logic functions. The customer's instrumentation and operations experts were very knowledgeable about the TDC3000 system and the polyethylene plant, so Yokogawa's engineers could clarify all unclear points in discussion with them and explain how Yokogawa would implement and realize existing functions on the Yokogawa CENTUM system, particularly those where changes were necessitated by architectural differences between the two systems. As part of this project, Yokogawa conducted a pre-FAT, an official FAT, and a post-FAT to mitigate potential risks in the SAT phase. More than 13 experts were dispatched from the customer's process, instrumentation, and operation departments for the official four-week FAT. Working with Yokogawa's engineers, five teams were mobilized respectively to check all items in sequences, complex loops, complex calculations, logic, and graphics. The customer experts played a very important role by providing necessary clarifications to Yokogawa personnel on a number of points and giving many constructive suggestions on modifications. The plant was shut down for about 50 days, giving Yokogawa enough time to do a cold cut-over to the new DCS. All Honeywell terminal boards were dismantled, leaving nothing but Yokogawa system hardware. Digitally Enhanced (DE) protocol instruments were changed to HART or analog mode to reduce workload. To ensure the integrity of the existing TDC3000 database, rather than immediately making changes to it to correct a problem reported by the customer, we investigated carefully to find the actual cause. For example, during the SAT, the customer requested an increase in the valve delay time to resolve a transient alarm. However, a detailed investigation found that the positions of two valve switches had been reversed. To prevent mistakes, a policy requiring multiple approvals for function modifications requested by customer engineers was adopted.A team of over 30 people from Dushanzi, Yokogawa, and subcontractors assisted with the system installation and cut-over. Zhaoshan Sun, Chief Instrument Manager, said, "In 2007, Yokoshin Software Engineering performed flawlessly on the refinery & petrochemical complex megaproject. Their strict, careful, and effective approach in their work ensured a successful startup and stable operation of the DCS. The Dushanzi project strengthened Yokoshin's reputation in China's petrochemical industry. When we were considering a revamp of the legacy system at our polyethylene plant, we chose Yokoshin as our migration partner based on our assessment of their capabilities and strengths." Mr. Sun went on to say, "Yokoshin's project manager and engineers worked closely with us to understand every technical problem and control the project schedule. The experts from Yokogawa headquarters also gave us timely support by sharing TDC3000 knowhow. To clarify details of the sequence program and calculation formulas, their engineers often worked late with us. Their rigorous, serious, and responsible approach not only helped overcome all difficult problems, but also made a good impression. The process unit has been running well and is problem-free since the start-up, and we wish to express our heartfelt thanks for this to Yokoshin!"